I still don’t have a pair of flat black boots in my collection. I don’t know why but I just can’t find any that I like. I keep trying on Chelsea boots but they just make my feet look like two flippers. Then when I go for ones with cut-out sections at the ankles, they’re just too big and flop around when I walk. Is wanting a decent pair that fits too much to ask? 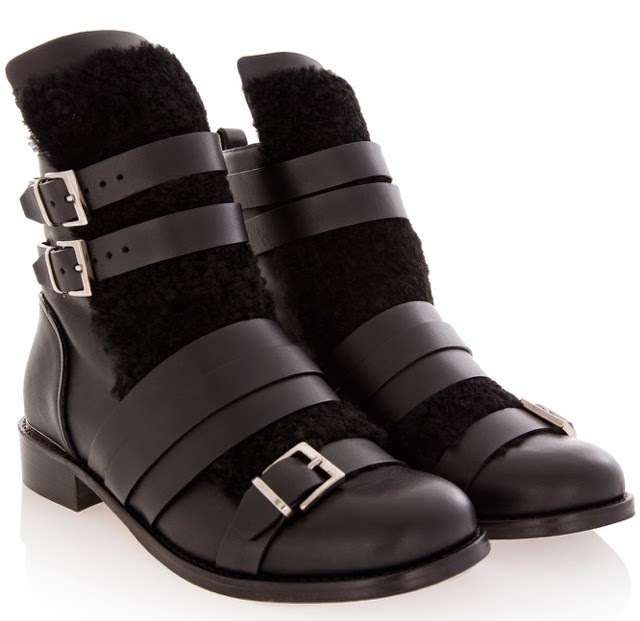 These IRO Hoonah Shearling Flat Boots are the ones that I’m currently dreaming about. They look big and sturdy, are covered in silver buckles and then have a gorgeous layer of shearling running down the middle. I can imagine wearing them with dresses and tights just as much as boots and jumpers, depending on what the day or occasion called for. They’ve currently got 60% off, bringing them down to the £200 mark. While I don’t have that money, because I’m saving for my holiday, that won’t stop me from dreaming.